This past week was jammed-packed with exciting happenings. 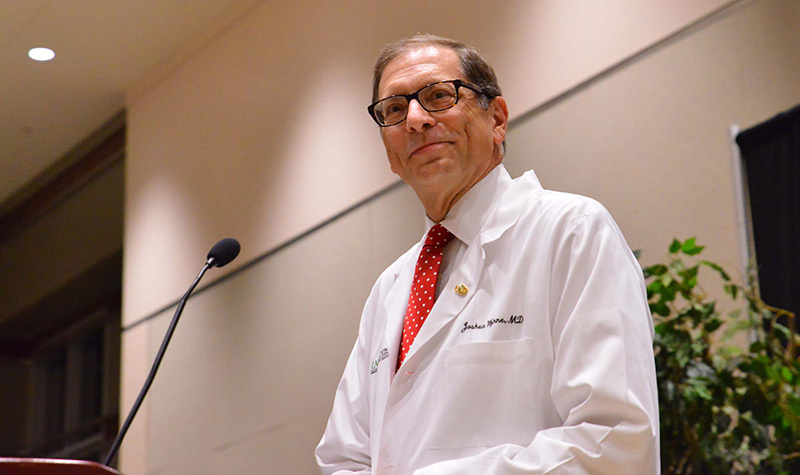 It was a particularly rewarding week for me because I help teach the cardiovascular pathophysiology section of Block 6 of the second-year medical student curriculum (there are four blocks in each of the first two years of medical school). In addition to my other activities, I had about 10 hours of teaching added in. I love to review the pathophysiology of heart diseases and try to help students reason through the decision-making process when evaluating such patients, rather than just doing a “data dump” from my brain to theirs. One of my favorite teaching exercises is the heart sounds and murmurs section, where I review the blood pressure and blood flow phenomena that result in the various sounds that one can hear with the stethoscope. It was a very enjoyable time for me, and, I hope, instructive for the students. After all, they will be using these skills for the rest of their professional careers. The next very successful event this week was on Monday, when our Senior Associate Dean for Medicine and Research, Marc Basson, hosted a symposium for the first- and second-year medical students designed to help them decide on future career choices and specializations. All the clinical departmental chairs (or their representatives) were present in Grand Forks, and the nearly 150 students in attendance were able to ask questions about that chair’s specialty. The discussion continued after the session in the auditorium with a more informal gathering over refreshments. That permitted multiple one-on-one discussions. When I finally left the building for the evening at close to 7 p.m., there were several discussions still ongoing! Quite a successful program I’d say! 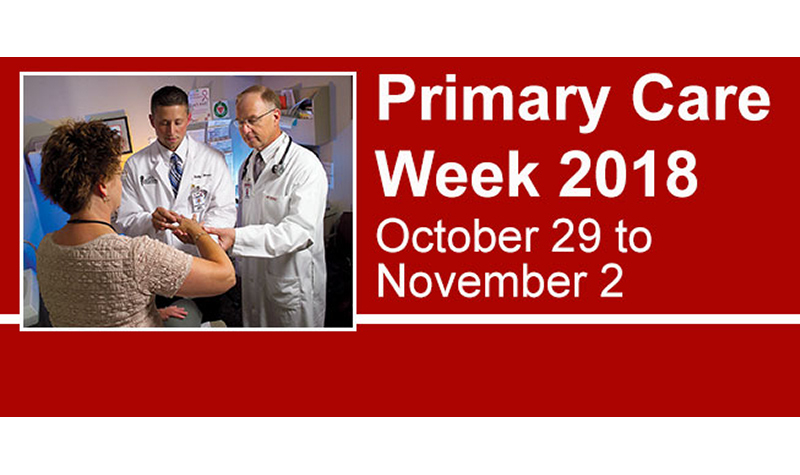 Another big series of events occurred in celebration of Primary Care Week, sponsored by UND’s Center for Rural Health. This annual event highlights the importance of primary care and helps bring together health care professionals working in the area. On Monday, Dr. David Schmitz, chair of the Department of Family and Community Medicine, presented a talk on “Rural Health: Thinking Globally, Acting Locally.” On Tuesday, there was a Community Meet & Greet / Healthcare Career Fair, where representatives of health care organizations from around the state were present to discuss career opportunities for health professions students. 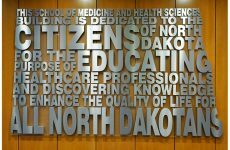 On Wednesday, there was a talk by Dr. Brian Skow, a UND SMHS alum, on the use of telemedicine to help in the management of rural patients. Then there was a Primary Care Team panel on Thursday to discuss career opportunities for health care students in primary care. Later today, a Loan Repayment/RuralMed Presentation will be offered to discuss the School’s programs for financially assisting health career students interested in rural practice. And to cap off the week, tomorrow our students will provide a Health Screening Fair at Hugo’s Family Marketplace on 32nd Avenue in Grand Forks, during which students will provide free screening services for anyone who drops by, including blood pressure checks and nutrition information. The region’s seventh annual Northern Valley Career Expo was held Wednesday at the Alerus Center in Grand Forks. 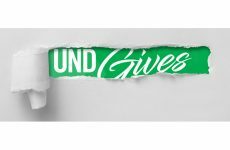 Along with other departments from UND, our School sent representatives from multiple departments to expose high school students from North Dakota and Minnesota to several health professions available through UND. They especially enjoyed checking the vital signs of our simulator-patient Bob. More than 1,700 students attended the Expo, hosted by the Grand Forks Region Economic Development Corporation. Such activity, which is part of our ongoing Healthcare Workforce Initiative, is vital to the future of our state. This is why we start recruiting students early and often. Hopefully we’ll see some of those faces in our own building on the UND campus in a few years. And last night UND’s Gorecki Alumni Center was the site for a very successful get-together hosted by Altru Health System and JLG Architects to solicit community input into the new hospital building being planned for Grand Forks. The Altru Community Forum attracted over 250 participants from the SMHS, UND, and the community to utilize a series of interactive stations, each of which had preliminary designs for the new Altru campus as a part of the system’s 25-year master plan. It was a wonderful event that left all attendees excited about the future of health care in Grand Forks.